JOHNSON, Jessica Lynn, 40, of Lithia, passed away on Friday, January 25, 2019. A native of West Islip, N.Y., she had resided here since 1990. She is survived by her son, Ian Thomas Johnson; daughters, Brieanna Lynn Johnson and Ashley Paige Johnson; mother, Cindy Muehlendyck; father's, Stephen Muehlendyck and Michael Zanni, Sr.; brother, Michael Zanni, Jr.; sisters, Elizabeth and Stephanie Muehlendyck; paternal grandmother, Jean Muehlendyck; maternal grandfather, John Rapp and nieces, Madison, Sydney, Alexis, Ava and Stella. To send flowers or a remembrance gift to the family of Jessica Lynn Johnson, please visit our Tribute Store. In Lieu of Flowers, the family requests that donations be made for her children and sent to her mother, Cindy. 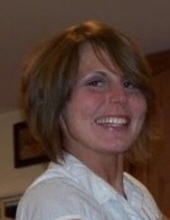 "Email Address" would like to share the life celebration of Jessica Lynn Johnson. Click on the "link" to go to share a favorite memory or leave a condolence message for the family.